Osteoporosis won’t affect everyone, but if your peak bone mass, genetics and lifestyle combine to put you at risk for weak bones as you age, it’s important to use all the resources around you to counter the problem. When it comes to your bone health now and in the future, there are plenty of things you just can’t change, like your gender (women are more likely to suffer major bone loss), your age (menopause moves you into a high-risk category), and your ancestry (white and Asian women are most likely to develop osteoporosis). These factors can paint a grim picture, even if you’re in pretty good shape at the moment. The medical community hasn’t yet discovered a cure for osteoporosis, but don’t give up hope — the way you choose to eat, exercise, supplement and medicate can make huge waves in your bone health and your longevity. Before you learn how to build your bones, it’s helpful to know how bone density works. Your bones may seem stable and immobile (unlike muscle, which stretches and grows), but they’re actually in a constant cycle of regeneration. Your body breaks down and repairs the building blocks of your bones over and over, and at the end of any cycle, you’re back to an even playing field. However, the balance begins to change a bit as you approach middle age: once you pass the 30 year mark or so, your natural bone rebuilding mechanism cannot keep up with your body’s bone deconstructing mechanism. The result? More bone is lost than gained, leaving you at a bone deficit. As this trend continues, your bone mass could dwindle so much that the empty space within your bones puts you at big risk for fracture, since weak and brittle bones cannot withstand pressure or impact nearly as well as dense bones. In some cases, this damage is permanent — but for many people, there are ways to rebuild that important bone mass. 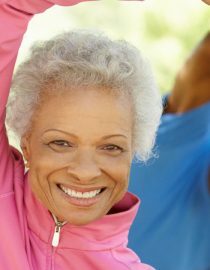 Exercising for stronger bones can seem counterintuitive, since exercise physically stresses your body, but it’s one of the most effective things you can do for bone mass. Not all activities bring equal rewards, though. In you want to build bones stronger and faster, you’ll need to work in some high-impact exercise. Anything that forces you to jump will encourage bone strengthening, especially in the upper body and thighs, as a study out of the University of Toronto shows. If you can commit to high-impact aerobic exercise at least a few times each week, you will build more calcium in the bones in your legs, hips, and spine. You may be tempted to buy some the comfiest padded shoes you can find to absorb the shock of jumping or running, but that will work against you. The shock to your bones is what encourages the rebuilding — so the less cushioning, the better!